I've made a few different ice creams now - vanilla bean, red velvet, strawberry buttermilk - but I could tell that this time, this time I did it right. 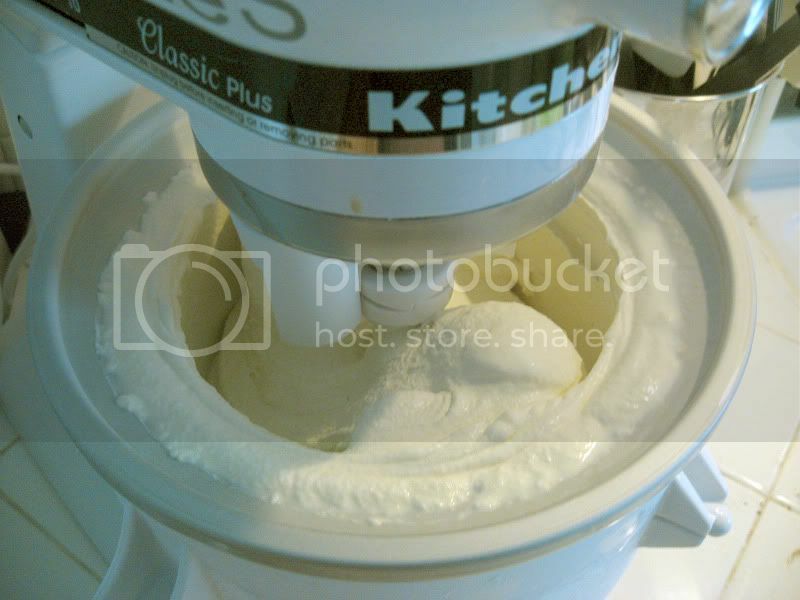 I didn't really know that I'd been doing something wrong in the past, but when the amount of ice cream that I got from the churning this time was nearly double my previous amounts, with basically the same amount of starting ingredients, clearly, clearly, I had done something different. What did I do? It's a secret! Muahahaha! No, no, here it is: I made sure the ice cream attachment bowl was really, really cold. Like, I turned up my freezer to its maximum freeziness. And I also made sure that the cream mixture I'd made was straight up cold, leaving it in the fridge for at least 6 hours. My patience in the past has worn thin with the waiting, but as I was also cleaning and making other things on the day I made this, I didn't feel that impatient itch to start before I should. So the lesson is: do the stuff the recipe says to do! But you know what else? This recipe made me feel like a smart-in-the-kitchen type, because I actually had to make a couple changes due to my available ingredients, and it turned out great. I am learning things by doing things! 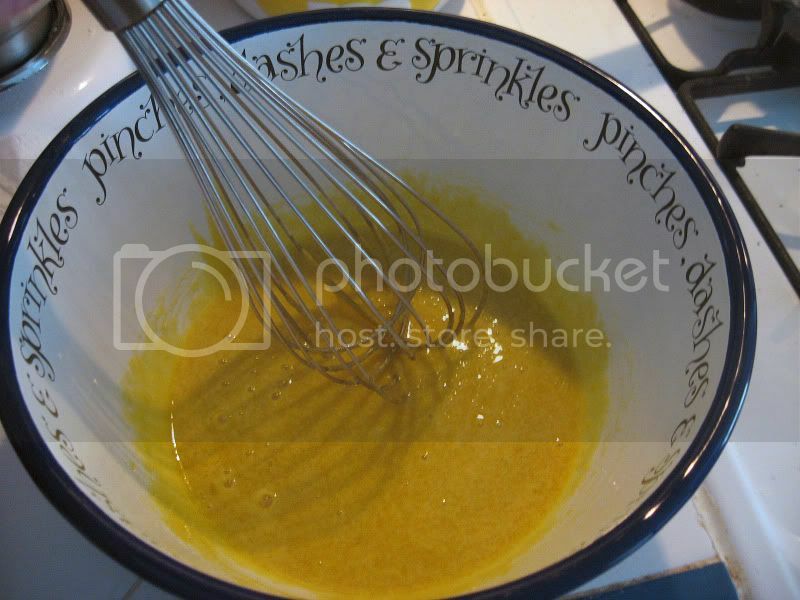 Whisk together sugar, egg yolks, and salt in a medium bowl until thick and pale, and set aside for a bit. In a medium saucepan, warm milk and honey until almost boiling. Slowly pour the warm milk into the egg yolk stuff, whisking constantly so the yolks don't get cooked. 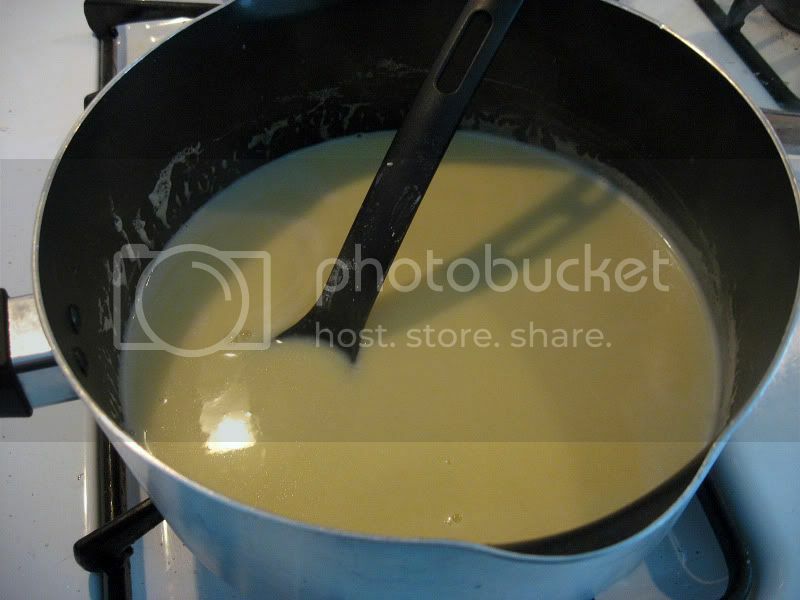 Return the new mixture to the saucepan and cook over medium-low heat, stirring often, until it has thickened, about 8 minutes. 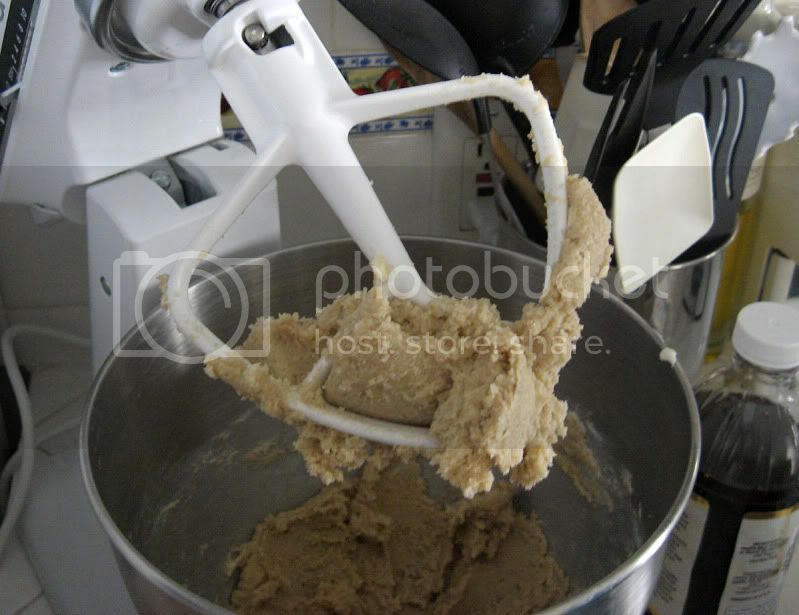 While that's chillin', make your cookie dough. 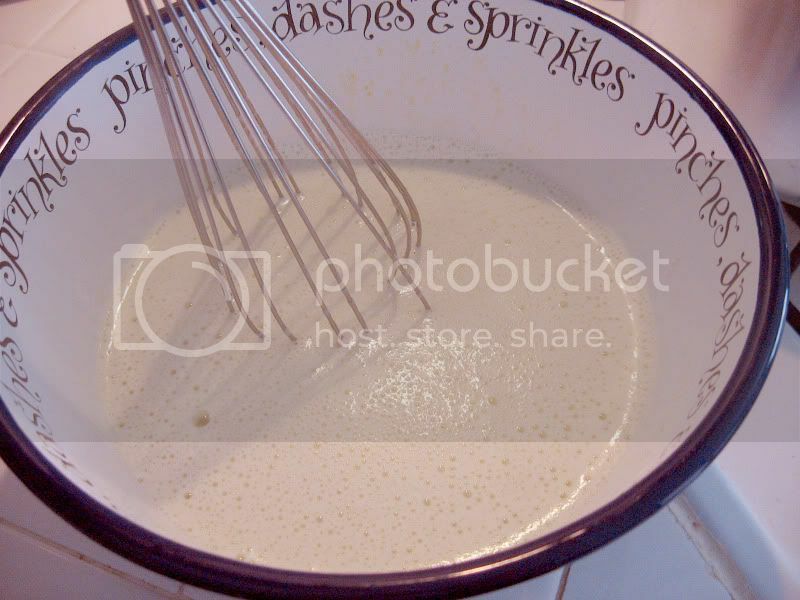 Whisk together the flour, baking soda and salt and set aside. 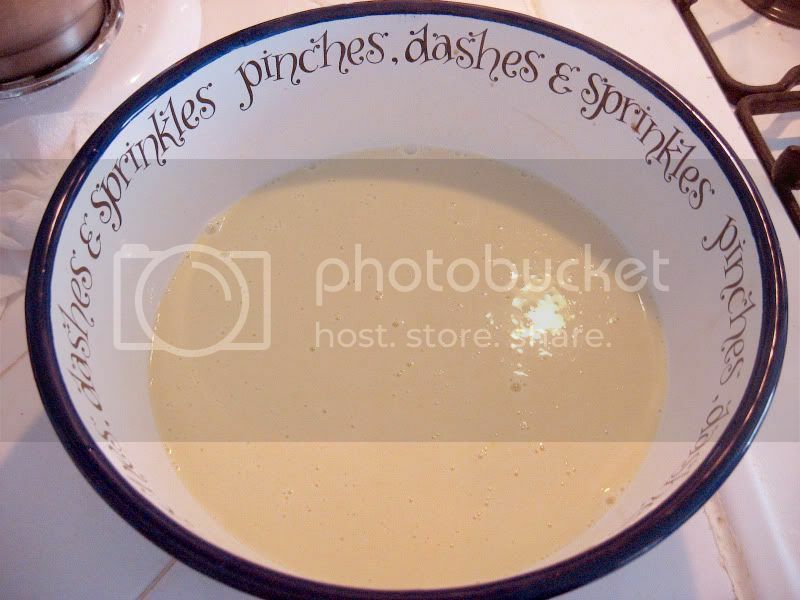 Cream together the butter, brown sugar and regular sugar until light and fluffy, then blend in the vanilla and milk. 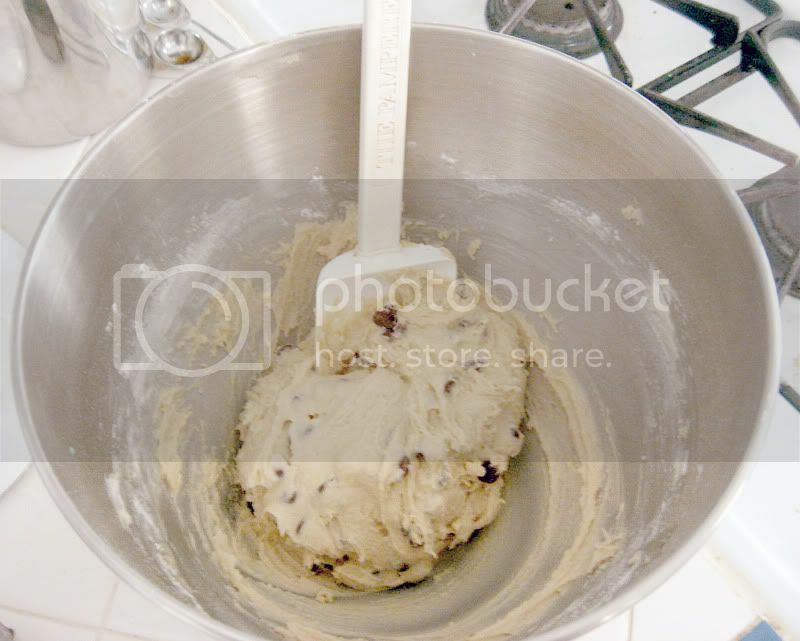 Mix in your flour mixture until it's all dough like, then fold in your chocolate chips. Spoon the dough out onto a sheet of plastic wrap. Wrap that into a log and refrigerate. Now you could've done this before you started the ice cream, which at this point would mean you'd be taking it out of the fridge. Or, since the cream stuff has to sit in the fridge forever anyway, you can just wait 30 minutes. When the cookie dough has chilled for a bit, roll it into 50 marble-sized balls. Place on a small cookie sheet and store in the freezer until later, when you get to mix it into the ice cream. When the ice cream custard is cool several hours later, churn according to your ice cream maker instructions. 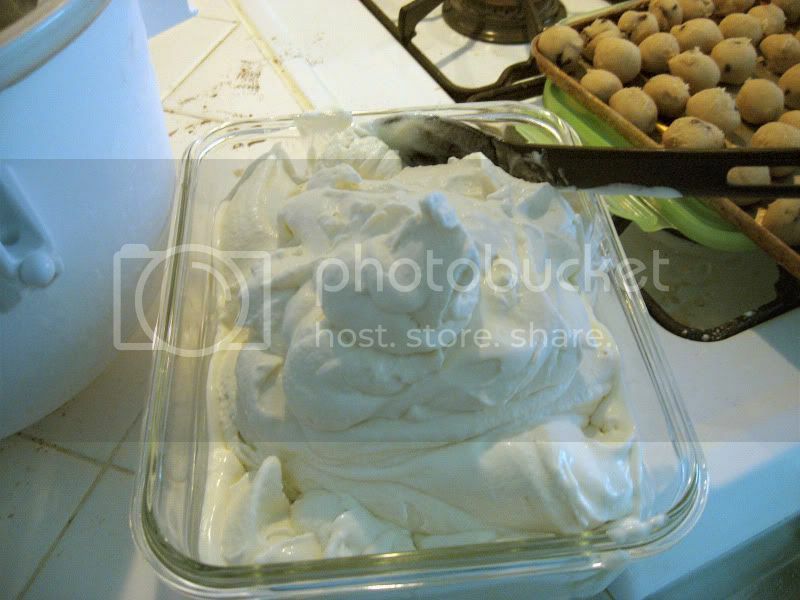 Transfer the ice cream into your freezer safe container, and fold in the cookie dough balls from earlier. Freeze until more solid before serving, although I always enjoy it quite a lot soft-serve style straight out of the ice cream maker. After I've added the milk and honey into the egg yolk mixture. Frothy! Cook that on the stove for about 8 minutes, and you'll get a custard. After you've strained it through the mesh strainer, put some saran wrap on top, making sure it touches the top of the liquid. When you get to this point, wrap it in a log in some saran wrap and put it in the fridge for a bit. Because you'll want it to be easy to handle when you roll it into balls! I had some of the dough left over. Don't worry, you can eat it straight up as dough, because it doesn't have eggs in it! Amazing. 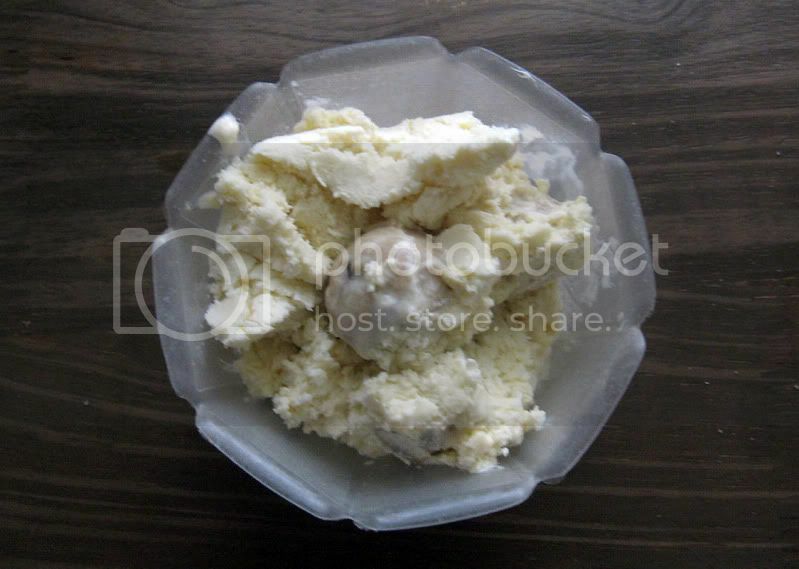 After the cream mixture has cooled enough in the fridge, set your ice cream maker to work. This is after 20 minutes, soft serve deliciousness! Once you've got it scooped into your container (or containers, as the case may be! 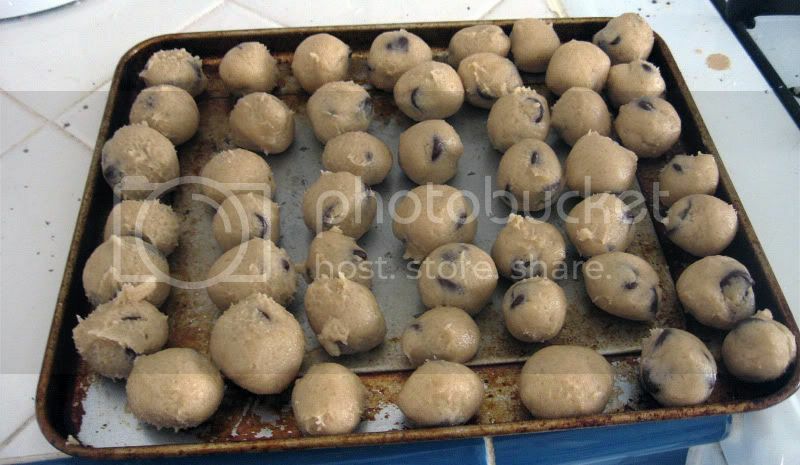 ), mix in your cookie dough balls, then stick it back in the fridge to firm up. Confession: ice cream of this soft serve consistency is my favorite kind, so I have a hard time letting it firm up in the fridge rather than just eating it wholesale at this point! Then scoop it up and get to some cookie dough lovin'! Is that seriously a sub for whole milk?!? You have just revolutionized my baking. I always skip over recipes that use whole milk, because I hate having to buy it specially - and then have random amounts left over. This is soooo great. Yeah I didn't want to buy whole milk just for this recipe either, and ice creams don't turn out so well when you use fat free milk. So I did some research and found the butter option. It seemed to turn out well! I think it would probably work for any sort of baking, since it's just adding back in some fat!